Where is the plan – is there a plan? The Racing Horse offer more key trends and this time we look at 1000 Guineas Stakes. 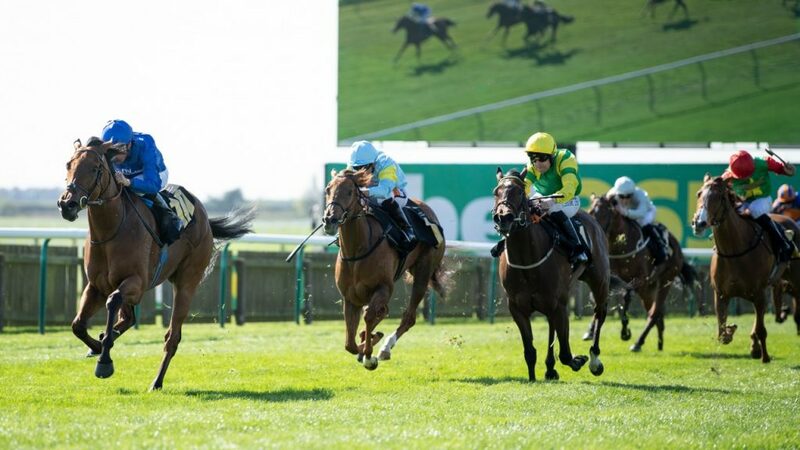 It is a Group 1 Flat horse race open to 3yo fillies and run on the Rowley Mile Course at Newmarket over a distance of a mile (1,609metres) and takes place on the Sunday following the 2000 Guineas Stakes. It is the second of Britain's five Classic races and the first of two restricted to fillies and will be run on the 6th May. Has Ryan Moore chosen the wrong filly? Happily leads a four-strong Ballydoyle team with Ryan Moore jetting back from partnering Mendelssohn in the Kentucky Derby at Churchill Downs to take the ride on last season's two-time Group 1 winner. We are not sure the rush will be worth it! In any case he might have chosen the wrong filly as we prefer I Can Fly. Aidan O'Brien said of her: "We were happy with I Can Fly's run at Leopardstown. She ran very well on ground that was too testing for her and she's come on nicely since. Stepping up to a mile on better ground should suit her." We remind members that Soliloquy was supplemented for this on the back of her Nell Gwyn win here (7f, good) last month, sealing the race with a decisive turn of foot. Highly likely there's more to come after only 3 starts for this course winner and this is our selection. Charlie Appleby said: "Soliloquy is a work filly. She impressed us three weeks before the Nell Gwyn. Then she did what she did in the Nell Gwyn. We have asked serious questions of her since then." Second foal; half-sister to 1m winner Musical Terms (RPR 78); dam 6.5f-1m winner (inc Australian Listed; 108), out of Australian 6f-7.5f winning half-sister to dam of GB 7f/Australian 7.5f Listed winner Scarf; shaped with bags of promise when second in Newmarket maiden in August 2017 and followed that up with cosy all-the-way win over a mile at Ascot in September; made all once again on 2018 return in the Nell Gwyn and is clearly very smart; handles ease underfoot. Aidan O'Brien has won this race 4 times and looks the trainer to focus on again. I CAN FLY has a similar profile to last year's winner Winter and is taken to improve past stablemate Happily. The Charlie Appleby pair Soliloquy, who has been supplemented on the back of her Nell Gwyn success, and Wild Illusion also look sure to have a big say in an open renewal.